On March 28, 2019, the Company acquired a multi-tenant medical office building on the campus of Indiana University Health’s Methodist Hospital in Indianapolis for $47.0 million. The 143,499 square foot building is 100% leased. On March 28, 2019, the Company acquired two multi-tenant medical office buildings on the campus of Inova Health System’s Fair Oaks Hospital, in the Washington, D.C. area for $46.0 million. These buildings total 158,338 square feet and are 72.8% leased in the aggregate. On April 2, 2019, the Company acquired a multi-tenant medical office building adjacent to Piedmont Hospital in the Buckhead area of Atlanta for $28.0 million. This 47,936 square foot building is 100% leased. In the aggregate, the four buildings are 87.7% leased and were acquired at an average capitalization rate of 5.3%. 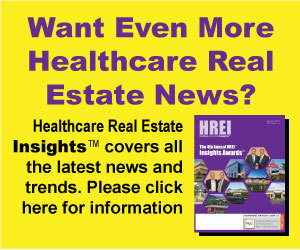 The properties expand Healthcare Realty’s presence in three of its top markets and extend the Company’s relationships with three market leading, investment-grade health systems. Additional information regarding the Company, including this quarter’s operations, can be found at www.healthcarerealty.com. Please contact the Company at 615.269.8175 to request a printed copy of this information. In addition to the historical information contained within, the matters discussed in this press release may contain forward-looking statements that involve risks and uncertainties. These risks are discussed in filings with the Securities and Exchange Commission by Healthcare Realty Trust, including its Annual Report on Form 10-K for the year ended December 31, 2018 under the heading “Risk Factors,” and as updated in its Quarterly Reports on Form 10-Q filed thereafter. Forward-looking statements represent the Company’s judgment as of the date of this release. The Company disclaims any obligation to update forward-looking statements.